Fantastic 4 transporter vehicle can be used to explore space or stop crime. 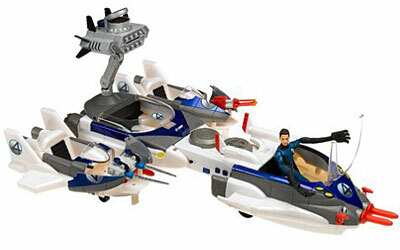 This fantastic car is actually made of four vehicles that each Fantastic 4 action figure member can use separately. Each vehicle features launcher, blaster, and rapid fire disk launcher accessories.